Day 3 of WDW-40, the latest of my Disney Trip Reports, is here! Today we actually didn’t do very much, other than a quick shopping trip, exploring the resort, and catching up on sleep! 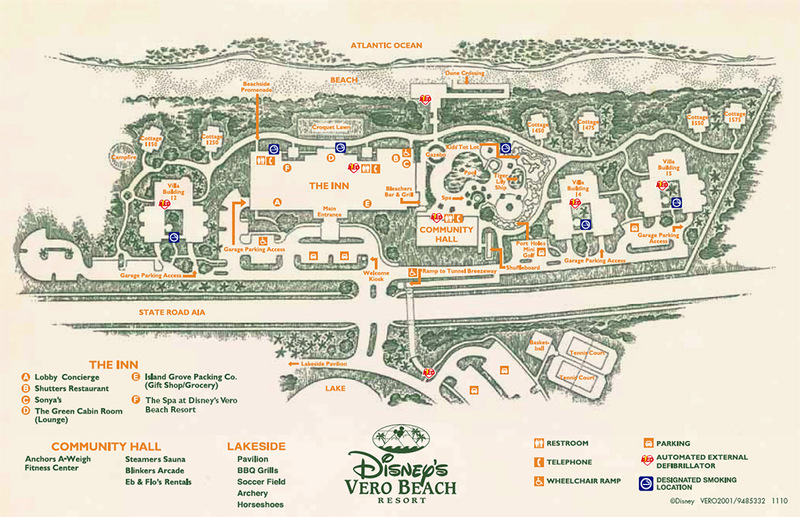 I thought today would be perfect to write a Disney’s Vero Beach Resort Tour. Today was a very lazy day – we were both feeling knackered – so didn’t actually do very much. Looking back, it was a bit of a wasted day, but sometimes you just need to have some serious downtime, and we definitely did that today. Steve popped down to the resort store – Island Grove Packing Co. to pick up something for breakfast. He came back with bagels, peanut butter, jam, and juice, and we had brekkie out on the balcony, watching the waves crash up on the beach. We had missed the sunrise, but made sure to be awake for it in the following days! We drove to the local Publix to buy some food for the following days for breakfast/lunch/dinner. Dining options are limited at the resort, as I mentioned yesterday, and it would be cheaper to eat in our room, than eating out all of the time. After shopping, we had a wander around the resort, had a nap in the afternoon, then a went down to the beach for a while. Dinner was some chicken and salad that we’d bought earlier that day. We stayed in a Deluxe Studio – room number 2224, on the second floor (which is the 1st floor in the UK). For reference, if you look at the photo above of The Inn, you can see the outdoor seating area for The Green Cabin Room jutting out – our room was the second one to the right of that. The balcony was huge, with a table and a couple of chairs. I don’t actually have any photos of the balcony, but you can see one of the chairs below with a very cool turtle design. We sat out on the balcony quite a lot during our stay, as I had purposely booked an ocean view room, and of course, wanted to make use of that. I’ve always dreamed to have a view like that when staying in a hotel, and finally that dream came true! I love the sea, and being able to see the water, hear the waves, watch the sunrise, and just get lost in that, was amazing. We were both very sad when our few days at this resort came to an end, and will definitely return on future vacations to Florida. The room itself was a very good size with two double beds. 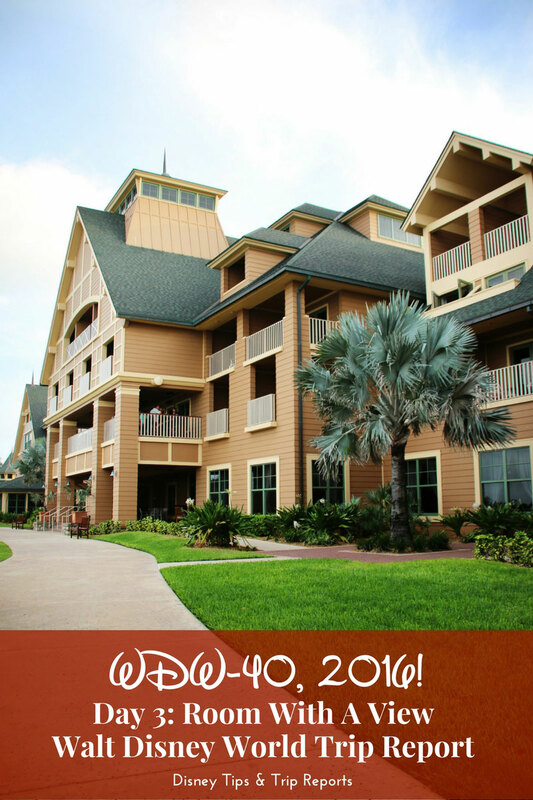 They were so comfortable – certainly one of the best we’ve slept in at all the Disney Resorts we’ve stayed at. I liked that the bedding was white, and very simple; the striped accent pillow added a nautical/beachy theme without being too much. The furniture was predominantly white which goes well with the overall style of the room. One thing that does annoy me about (some) Disney Resort rooms is the lack of a bedside cabinet! There is always one in the middle between the two beds, but never one on the other side! I always end up using either a chair or the small table from the balcony. There was several piece of framed art/photography on the walls which was really nice. The photo of the sea turtle was gorgeous, and such a fitting piece, as loggerhead sea turtles use the beach as their nesting grounds. The large television was mounted on the wall, and there was a DVD player too – you can rent DVDs from the resort shop. Beach/pool towels were provided – they are the striped towels on the ottoman; as well as bathroom towels. When you are a DVC member, you do not get Mousekeeping every day like in a regular Disney hotel stay. You get towels and trash on your 3rd or 4th day, and a full room service on the 7th day if you are staying for longer than 8 days. Inside the closet are a few hangers (we always bring cheapy plastic extra ones with us, as there is never enough) a fire extinguisher, a safe, travel cot, iron and ironing board. The kitchenette area has a small fridge (not always with a freezer compartment, as we later learned at other resorts), toaster, microwave, and a coffee maker. There were some glasses and an ice bucket, and I think there were mugs too – no pictures of them, but Steve and I think we must have drunk coffee while we were there! There are paper plates, bowls and cups, and plastic cutlery provided. I can’t remember if there were any other kitchen utensils though like a corkscrew, or can opener, so bring your own just in case! There was a tea towel, small bottle of washing up liquid and a washing up sponge provided. And finally, there was a little welcome pack with a map of the resort, as well as a map of the surrounding area. There were leaflets with useful information like tide times, local movie theatre times, phone numbers for doctors, pharmacies, shops etc. The private airport one made me chuckle – wouldn’t mind my own place to fly in myself! And there was also a colourful pamphlet with days and times of recreational activities around the resort – things like: pool games, star gazing, character meet & greets, campfire, crafts, and more. Looking back, we didn’t do much at all! I think if we had younger children, then yes we would have took part in more things – as adults we were happy in the pool and on the beach! I’ve included the resort map below. The other accommodation types – 1 and 2 Bedroom Villas, are located in the Villa Buildings (with some additional Deluxe Studios I believe) The Cottages on the front are standalone 3 Bedroom Villas. Views in the various rooms are either of the ocean, pool, landscaping, or hotel. I know which we prefer! Looking at the map I can see that we didn’t even venture into the Community Hall which is near the pool – I think it may have even been shut to be honest, as there was a lot of renovations going on, and we certainly didn’t cross the road (via an underpass by the looks of it) to see the amenities over there either. Like I said, we can’t wait to go back again in the future, and do some of the things we didn’t do, or weren’t able to do this time around!